Cold and flu season is coming soon, and being sick is no fun. Here are a few recipes for natural home remedies to help you through the season. When your next cold or flu strikes, reach for your DIY cold and flu kit for relief! Store-bought cough syrups can contain some unhealthy ingredients, such as high fructose corn syrup, codeine and more. Furthermore, it has been found that very few, if any, cough syrups are actually effective. Here is a recipe for an alternative, so you know exactly what you’re putting into your body. Melt the coconut oil on the stove or in the microwave – warm until just melted. Stir in honey and cinnamon and mix until a paste forms. Eat the syrup one teaspoon at a time as needed throughout the day. 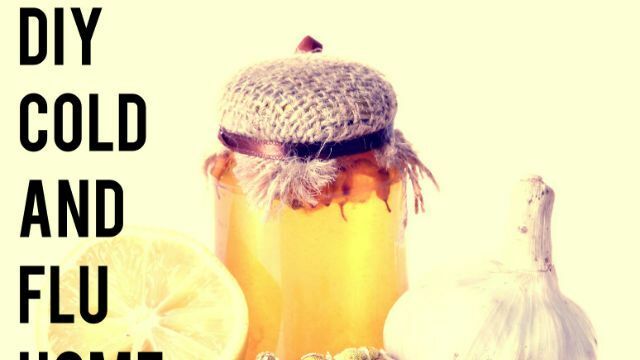 Fight your fever with this easy home remedy that’s been used for decades! Slice the onion about ¼ inch thick. Wrap the onion slices onto the bottoms of your feet with a bandage or tape. Put on a pair of socks. The onions will help draw out a fever. Store-bought chest rub is laden with harmful chemicals, including turpentine and formaldehyde. Make your own for a safer, healthier option. Melt the beeswax, shea butter, and coconut oil in a pot on the stove until just melted. Mix in essential oils. Allow the blend to cool. Pour mixture into a sealable container. Apply as needed to your chest to relieve congestion. The sweet smell of rosemary and mint are great for easing a headache, and will keep you from popping ibuprofen, which can be very hard on your digestive tract. Boil the water in a pot on the stove. Pour into a bowl and stir in herbs. Lean your head over the bowl (not too close!) and cover your head with a towel. Inhale the steam from the bowl as long as you possibly can. Not only will this therapy clear congestion, it will also help relieve your headache. Thyme is a hearty, tasty, natural and safe anti-inflammatory, antiseptic and antioxidant herb, perfect for soothing coughs and colds. Boil the water and thyme on the stove. Strain out the thyme leaves. Stir in the honey and pour into a mug. Enjoy while warm. Often, muscle pain and and colds go hand and hand. Ease your sore muscles and joints with this homemade rub. Melt coconut oil on the stove or in the microwave until just melted. Pour coconut oil into a sealable container and mix in essential oils. Allow oil to stiffen, then spread on sore muscles as needed. Cough drops are handy and can ease sore and scratchy throats. However, store-bought drops are laden with artificial flavors and sweeteners. Make your own drops for a healthier healer. Place the horehound and water in a saucepan and bring to a boil. Boil the mixture for 3 minutes, then remove from heat and simmer for 15 minutes. While the mixture is simmering, prepare a cookie sheet. Cover a cookie sheet with about ¼ inch of sweet rice flour. Use your thumb to make indents in the flour. These will be your molds for the cough drops. After the horehound is done simmering, strain it out of the water with a cheesecloth. Squeeze the leaves to remove every bit of water. Bring the water back to a boil and stir in honey. Heat until the mixture reaches 300 degrees F.
Remove from heat and pour right away into the flour molds. Allow drops to cool and harden. Take one drop as necessary throughout the day to ease cough and sore throat. Hey Buddy!, I found this information for you: "DIY Home Remedy Kit for Cold and Flu Season". 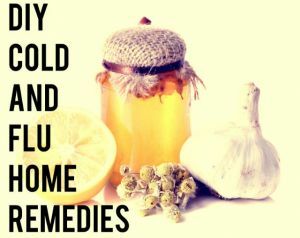 Here is the website link: https://www.thealternativedaily.com/diy-home-remedy-kit-cold-flu-season/. Thank you.